Racism is endemic to white culture. 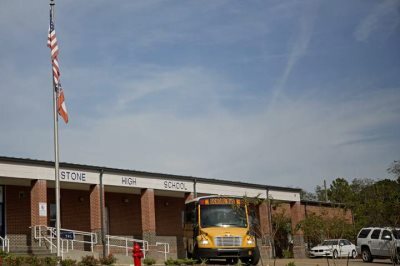 AFRICANGLOBE – Four white Mississippi students put a noose around a Black high school student’s neck and “yanked backwards,” according to the Mississippi NAACP. According to Johnson, the attack occurred in a locker room during a break from football practice. He did not disclose the victim’s identity, nor did he comment on whether the noose left any scars or burns on the teen’s neck. At least one of the accused students has since been kicked off of the football team. However, as of now there has been no criminal action taken by the school district or Sheriff’s Dept. against the accused attackers. “I feel like it escalated from them allowing kids to bring Confederate flags” to school, said a concerned mother from the area. Mississippi is the only state in the U.S. to feature the Confederate flag on its state flag. Johnson said that that the boy’s mother was cautioned against filing a police report by a deputy after the incident, because one of her son’s attackers has a father who was once a police officer. Sheriff Boggs denied this, but did say that he told her that filing criminal charges may turn the student body against her son. Superintendent of education for Stone County schools Inita Owen has yet to respond to requests for comment. As of now, no criminal charges have been filed against the students.